This item comes with a Raymond Lee Jewelers presentation box! Categories: Diamond Jewelry, Diamond Rings, Diamonds, For Him, For Him Under $500, Gold, Jewelry, Men's Jewelry, Rings, Rings, Two-Tone Gold. 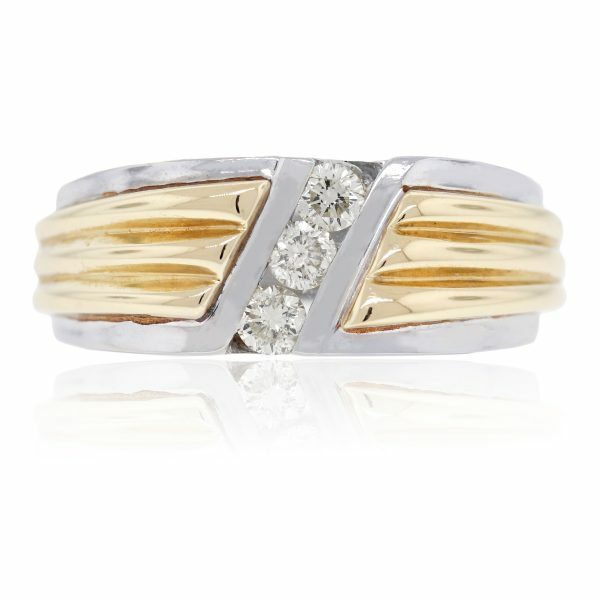 Tags: 14k Yellow Gold, 3 stone, Diamond, mens, Ring.